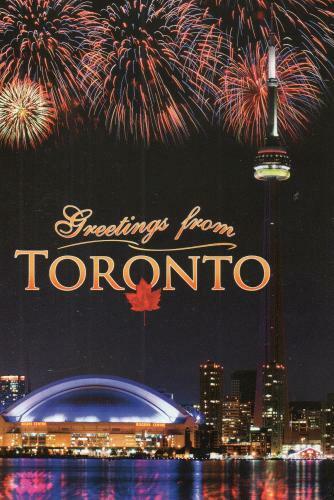 Postcard CA-393552 brought greetings from Toronto, Canada. Toronto usually has a Christmas Tree Lighting Fireworks at its City Hall on November 26. This year was no exception. You can watch the 2011 fireworks on YouTube.